Letter to Mr John Bannerman concerning the case of Lord Cassillis, whose condition is still no better. 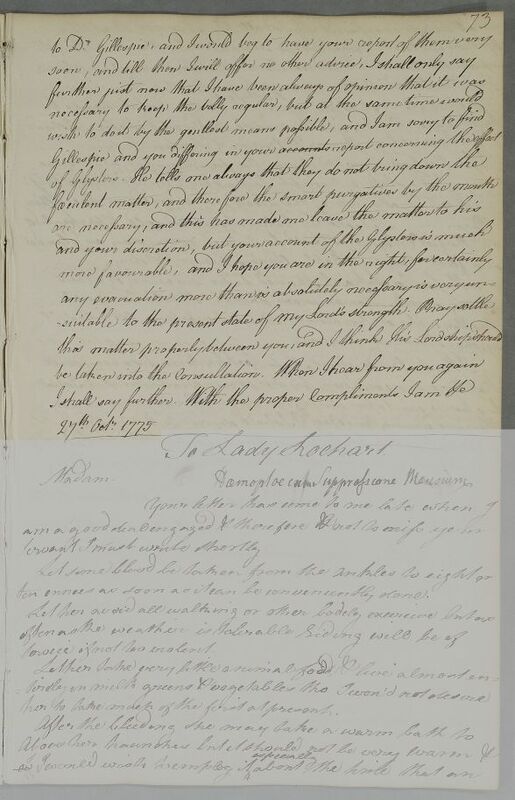 Cullen notes that Bannerman's account differs from Gillespie's, requests that they 'settle this matter between you', and suggests Lord Cassillis himself be brought 'into the consultation'. Summary Letter to Mr John Bannerman concerning the case of Lord Cassillis, whose condition is still no better. 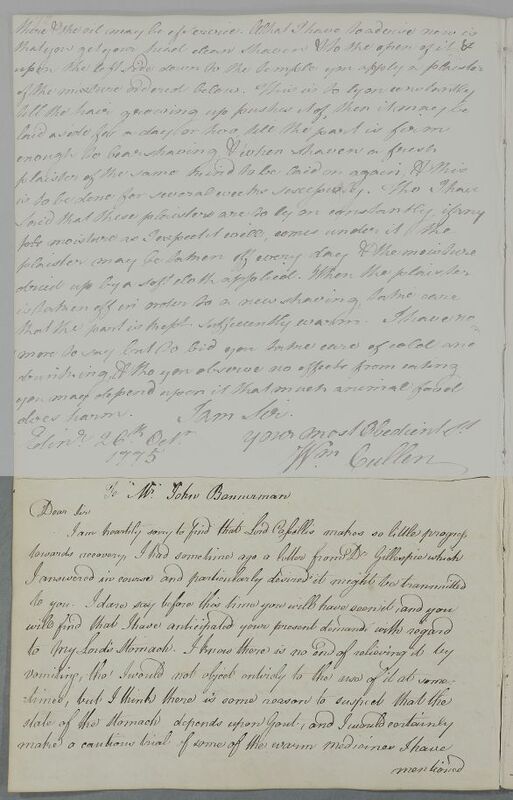 Cullen notes that Bannerman's account differs from Gillespie's, requests that they 'settle this matter between you', and suggests Lord Cassillis himself be brought 'into the consultation'. With the proper Compliments I an &c.